Article in Product Development and Strategy, Technology categories. Between e-commerce, education, and healthcare, our daily lives are bound to be greatly impacted by AR apps in the not-so-distant future. Here's how. In recent years, augmented reality (AR) has become more and more commonplace in the world of entertainment. If you’re a gamer, the mainstream adoption of AR is a welcome development that makes for immersive experiences. For example, the Pokemon Go app went viral for integrating AR in its debut. And building off the AR craze Pokemon Go created, Zombie Go gained significant popularity for allowing users to hunt and shoot zombies in an all-too-realistic apocalypse setting. But those who don’t want to catch Pokemon or fight zombies on their commutes may find the concept of AR somewhat isolating. 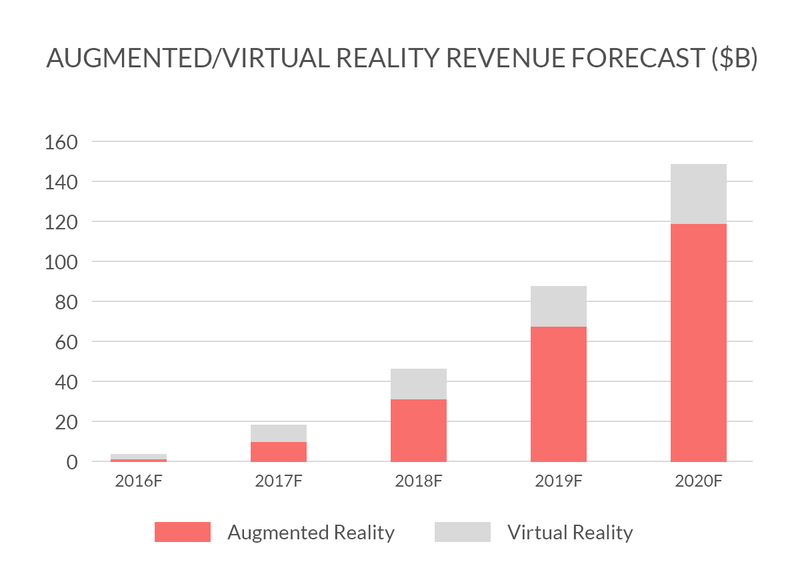 It’s easy to recognize that AR struggles to gain widespread adoption outside of the gaming and entertainment realms. In fact, the Ikea ARKit is one of the few mainstream examples of practical AR apps these days. During Apple’s ARKit launch in June, developers came hot out of the gate with glamorous apps that can build portals to alternate realms or fill a room with 3D planets. But it’s the simpler, more useful AR apps that generate the most excitement among users. People are digging this time-saving measuring tool. 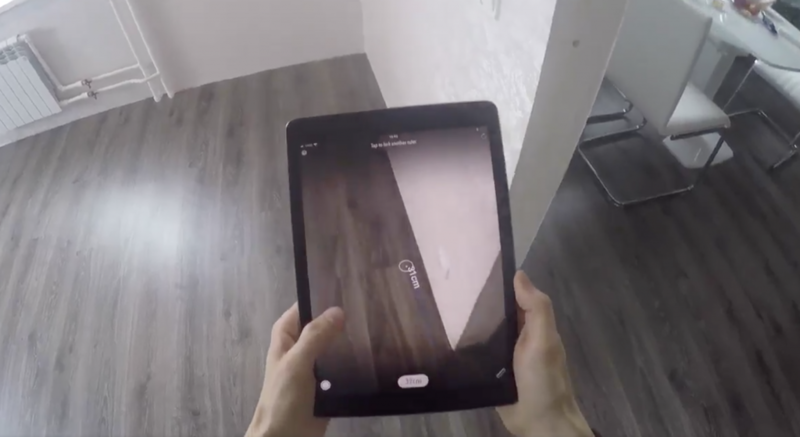 In fact, a video demonstrating how AR can be used to measure the dimensions of a room gained 140,000 views on YouTube—over 100k more hits than the ZombieGo trailer. It’s findings like these that make many tech researchers believe that AR will, in fact, transcend the entertainment realm to provide more far-reaching, practical functions. 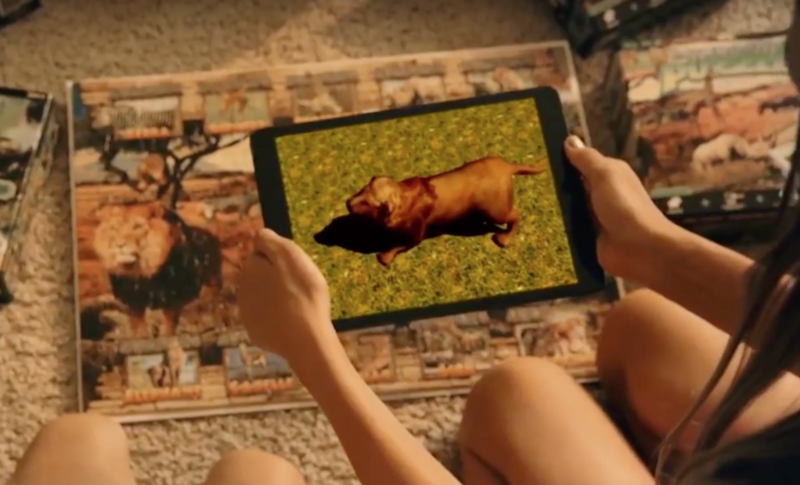 So, where exactly will AR go from here, and how will it improve day-to-day life? E-commerce and AR might not seem like a dynamic duo, but retail giants and developers alike are already making moves towards AR integration to aid customers. Despite the exponential growth of online shopping, most people still prefer to shop in physical stores. When shopping online, you lose the interactive and sensory elements that determine whether or not you’re going to buy a product. Customers are also understandably reluctant to digitize the very personal process of picking out and trying on clothing. Warby Parker tried to hack this problem by rolling out a program that lets online shoppers try on glasses at home for free before purchase. Although these types of initiatives have been wildly successful, AR apps will be the next step in bridging the gap between online and brick-and-mortar shopping experiences. 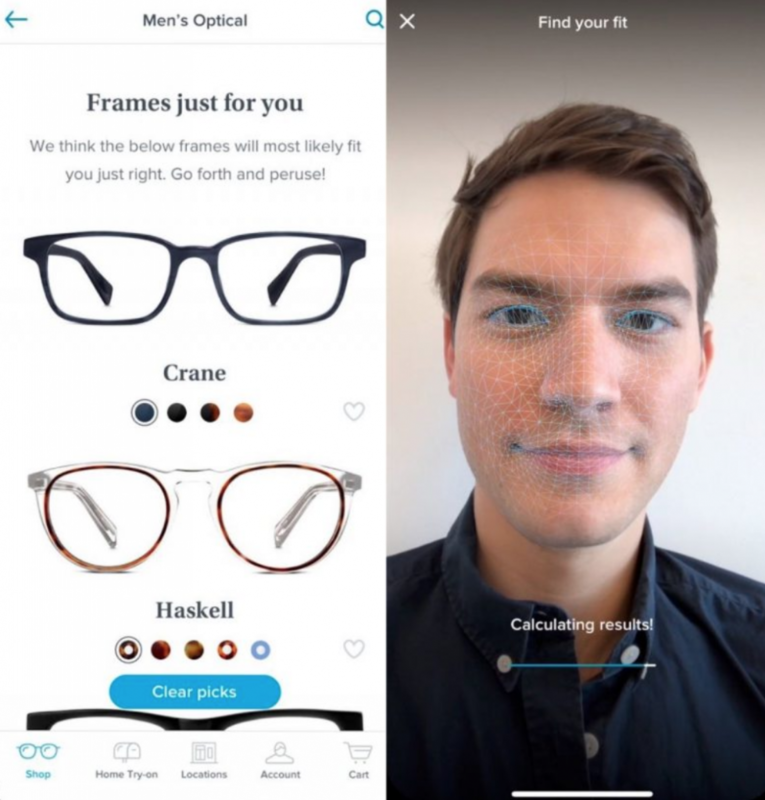 Case in point, Warby Parker just made the leap into AR by launching a feature that uses iPhone X’s face-scanning capabilities to let users try on glasses virtually, and even recommends frames for your face shape. Retail companies have long been trying to integrate AR into their platforms, but it has yet to become a truly conventional practice. For example, Converse dabbled in AR with their 2010 app, The Sampler, that allowed customers to virtually try on sneakers by pointing their phone camera at their feet. The app would then overlay a projection of the shoe. Converse even had an e-commerce platform linked to the AR app to make for seamless purchasing. However, The Sampler didn’t catch on and was pulled from the app store. First there were SMARTBoards, the wildly popular touch-screen whiteboards that ushered in the initial wave of interactive edtech and reached more than 30 million students globally. I remember that in fifth grade, even awkward, shy kids like myself would enthusiastically volunteer to go to the front of the class to solve a math problem if it meant getting to use the SMARTBoard. Now, the integration of interactive and immersive technology in schools is expected to grow even more thanks to AR. In the not-so-distant future, many predict that AR apps and ARKits will become common tools used by teachers to give their students a more engaging learning experience. “Augmented reality has the potential to revolutionize learning in primary and secondary schools more than any other technology has done in the recent past,” reports the New Jersey Institute of Technology, “several studies published in the last four years have shown that it enhances learning and classroom interactions.” Unlike VR, AR apps are also the most affordable immersive technology for education, since many schools already have access to the required devices and don’t have to pay for extra gadgets (over 50 percent of teachers say they have a 1:1 student-to-device ratio according to a recent survey). 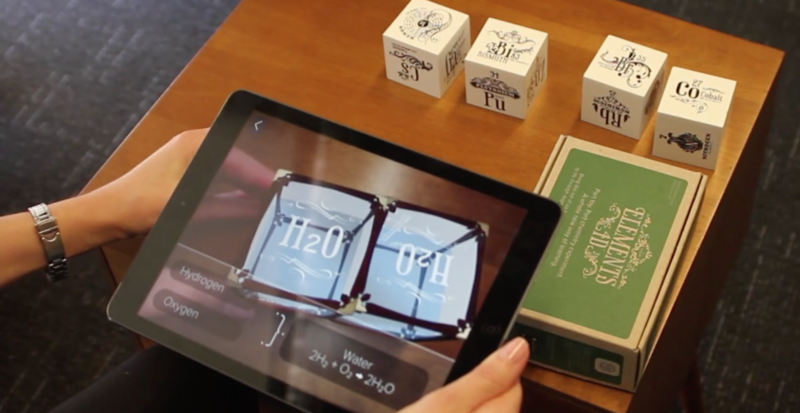 AR books and puzzles are the next level of learning. AR provides a multitude of ways for educators to enhance students’ comprehension and engagement. “It's important to think of augmented reality as more than just a gimmick,” writes Monica Burns, founder of ClassTechTips.com. AR apps can be used to animate a historical timeline, turn illustrations into 3D images, or even present structures of the galaxy, all in real-time. For example, Popar Toys allows students to page through interactive books on marine life, animals, dinosaurs, and planets. The text and images on the page are standard, but AR allows students to interact with dynamic graphics that literally jump off the page (think Marauder’s Map from Harry Potter). Popar also has a line of AR puzzles, toys, and charts. While statistics on AR use in K-­12 schools and colleges have yet to be gathered, studies show that its integration can help boost learning gains, motivation, and collaboration among students. Daqri, an AR startup, developed a set of physical wooden “element” blocks representing the periodic table that students can use to better understand chemistry. When the blocks are viewed through the AR app on a tablet, they appear to chemically react with one another on-screen. For example, if a student puts two hydrogen cubes and one oxygen cube next to each other, they combine to become water, H2O. Though many classrooms have yet to adopt these gadgets, given the proven benefits of immersive educational technology, it’s reasonable to assume that AR will become a norm in schools one day. I would have definitely paid more attention in chemistry class if we had these. 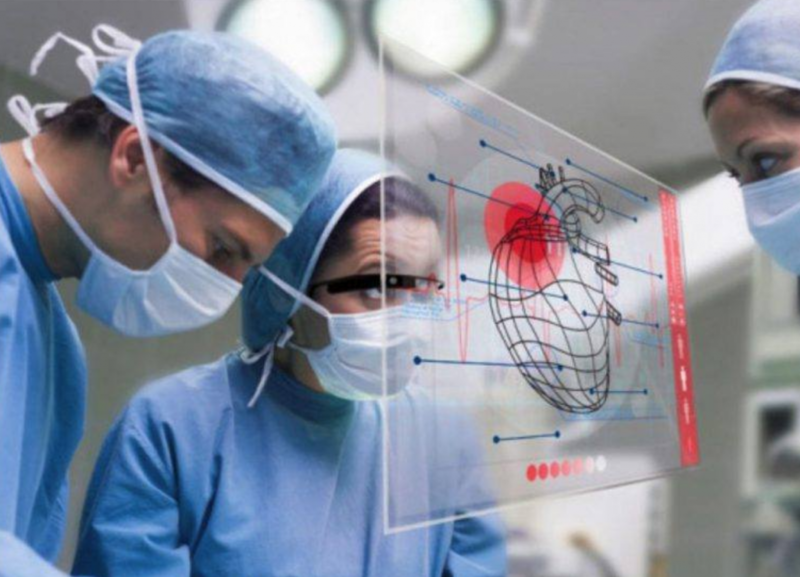 Rafael Grossmann, the first surgeon to perform an operation with the help of Google Glass, thinks that AR and VR will be routine in healthcare within the next five years. If you think you would find it hard to trust your surgeon if they wear AR goggles, it’s time to put your fears aside because AR developers aim to make healthcare safer and smarter. For example, Microsoft’s HoloLens is an AR tool that is now being used to assist in spinal surgery. It projects a visual overlay on a patient to guide surgeons through the operation. Surgeons can use AR apps and tools such as these to maximize precision as well as efficiency, allowing them to track equipment, use gestures to adjust virtual displays, and keep important information in their field-of-view. 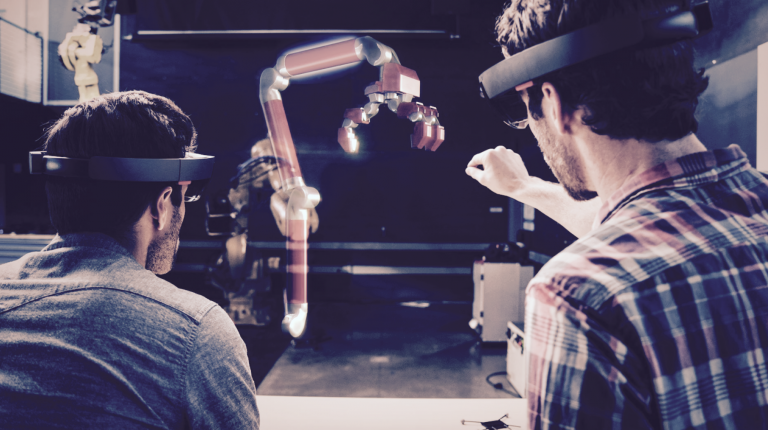 The HoloLens reduces invasive surgery time, and also minimizes the harmful radiation exposure that comes with the current spine-envisioning method of fluoroscopy. Many AR developers are working on similar medical technologies that can be used to keep vital information right where a doctor would need it, which many professionals like Grossman think will make healthcare safer and more streamlined, and patients happier. AR-assisted surgery is well within reach for today's doctors. If you look beyond the gimmicky games and trivial entertainment apps (come on, do we really need AR pet dragons?) we can find that the future holds myriad opportunities for AR to enhance our daily lives. 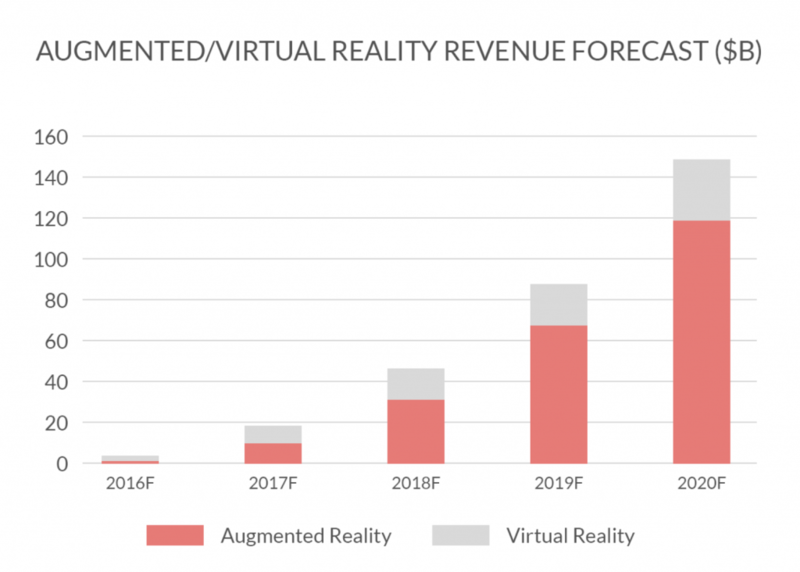 Although developers still grapple with widespread user acceptance, AR is expected to generate nearly $120 billion in revenue by the year 2020, multiplying its current revenue sixfold. Therefore it should come as no surprise that AR is going places, making our realities a little more augmented, but a lot more dynamic. 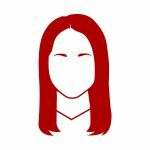 Published by Emily Burton on November 10, 2017 Emily Burton is a member of Fueled’s Marketing Team, and interested in app trends and finding creative ways to report on tech news. 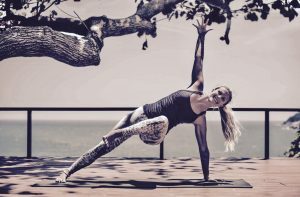 Article in Careers At Fueled category. 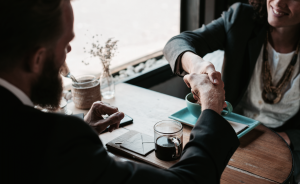 What Do Tech Companies Look For in Non-Tech Hires? Published by Emily Burton and Christine Chung on December 4, 2017 . Published by Emily Burton on November 10, 2017 . Article in Marketing and Growth category. Published by Emily Burton on October 12, 2017 . Article in Culture and Recruiting category. Published by Emily Burton on October 2, 2017 .